The judge told the court the crime ranked in the mid-range of seriousness, because it was an impulsive and uncontrolled act of violence. He said Abrahams has shown remorse and is unlikely to reoffend, and that her intellectual disability and own experience of being abused as a child contributed to her crime. The judge said Abrahams was put in a foster home as a 10-year-old, after her mother died. But Justice Harrison also said Kiesha deserved to be protected and had done nothing wrong. He said the body was kept in a suitcase for three days before it was disposed of. The judge told the court there was evidence that Kiesha suffered physical abuse throughout her life, but it could not be proven that all the injuries were inflicted by Abrahams. He said in the last 18 months of Kiesha's life the frequency of the injuries had increased. The judge said the DNA profile of Kiesha's blood was found around her mother's unit. 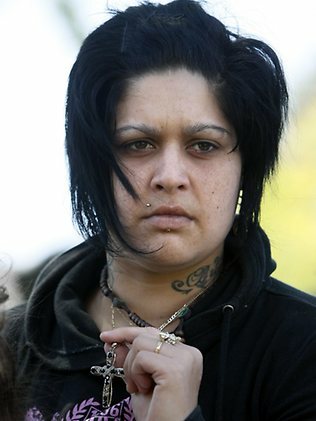 Her partner, Robert Smith, was jailed for at least 12 years over his role in the child's death. Abrahams told police that, after she nudged her daughter with her foot to get the crying child to put on her pyjamas, Kiesha hit her head. She said her daughter was like jelly when she put her to bed and was not breathing the next morning. Abrahams did not seek medical help for her daughter and agreed facts previously released by the court state that she and Smith put the child's body in a suitcase then buried her in bushland at Shalvey. "Ms Abrahams and Smith attempted to destroy all evidence that they thought could implicate them in the deceased's death, including removing evidence from the unit and throwing away their clothes, shoes and mobile phone SIM cards," the court papers said. According to the agreed facts: "Smith burned the deceased's body prior to burial, burned the suitcase they had used to transport the body and threw away the hammer he used to dig the grave." The papers say Abrahams was present for the disposal of her daughter's body. An autopsy revealed Kiesha had teeth fractures delivered with force and 10 separate injuries to her head, jaw and body. The Department of Community Services (DOCS), which is now called the Department of Family and Community Services, put Kiesha into foster care after Abrahams bit her on the shoulder at the age of 15 months. But the child was given back to Abrahams, who had anger-management counselling. 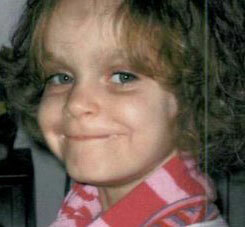 When she was three, Kiesha told a DOCS worker her mother had burnt her with a cigarette. DOCS received various reports of injuries to Kiesha from neighbours and family members. Education officials went to Abrahams's home several times because Kiesha only attended school four times in her life. School teachers and other witnesses had reported bruises on her face and head.